Table Football training: On this page, Subbuteo beginners will find easy Subbuteo training exercises to improve their flicking skills. Like exercise no. 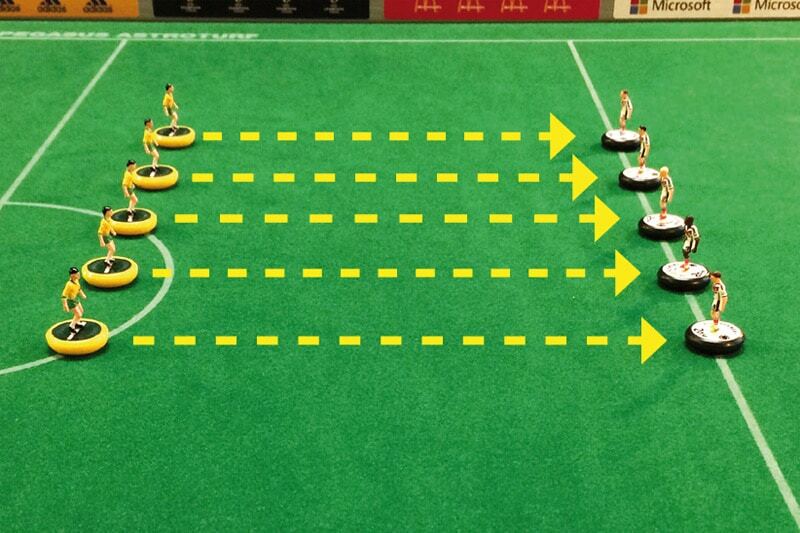 5, but with five defenders a few centimeters behind the Subbuteo ball who will block your shots.